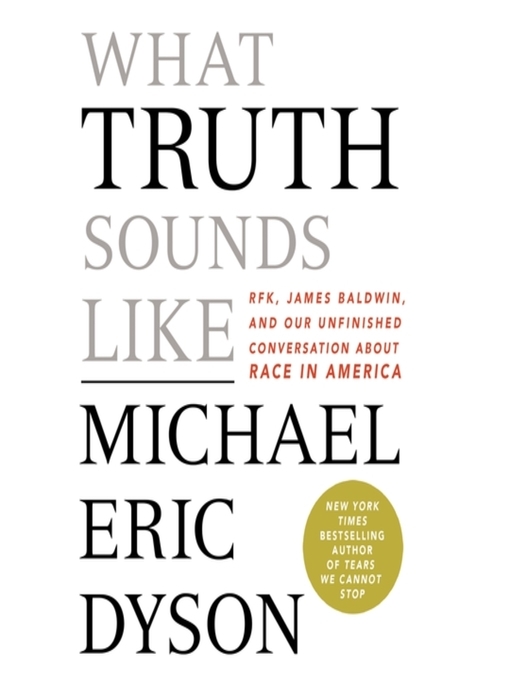 What Truth Sounds Like is a timely exploration of America's tortured racial politics that continues the conversation from Michael Eric Dyson's New York Times bestseller Tears We Cannot Stop. In 2015 BLM activist Julius Jones confronted Presidential candidate Hillary Clinton with an urgent query: "What in your heart has changed that's going to change the direction of this country?" "I don't believe you just change hearts," she protested. "I believe you change laws." In 1963 Attorney General Robert Kennedy sought out James Baldwin to explain the rage that threatened to engulf black America. Baldwin brought along some friends, including playwright Lorraine Hansberry, psychologist Kenneth Clark, and a valiant activist, Jerome Smith. It was Smith's relentless, unfiltered fury that set Kennedy on his heels, reducing him to sullen silence. Kennedy walked away from the nearly three-hour meeting angry – that the black folk assembled didn't understand politics, and that they weren't as easy to talk to as Martin Luther King. But especially that they were more interested in witness than policy. But Kennedy's anger quickly gave way to empathy, especially for Smith. "I guess if I were in his shoes...I might feel differently about this country." Kennedy set about changing policy – the meeting having transformed his thinking in fundamental ways. There was more: every big argument about race that persists to this day got a hearing in that room. Smith declaring that he'd never fight for his country given its racist tendencies, and Kennedy being appalled at such lack of patriotism, tracks the disdain for black dissent in our own time. His belief that black folk were ungrateful for the Kennedys' efforts to make things better shows up in our day as the charge that black folk wallow in the politics of ingratitude and victimhood. The contributions of black queer folk to racial progress still cause a stir. BLM has been accused of harboring a covert queer agenda. The immigrant experience, like that of Kennedy – versus the racial experience of Baldwin – is a cudgel to excoriate black folk for lacking hustle and ingenuity. The questioning of whether folk who are interracially partnered can authentically communicate black interests persists. And we grapple still with the responsibility of black intellectuals and artists to bring about social change.